A stunning, crisp, light blue shirt. Made in dobby weave cotton with a casual collar and matching white buttons. 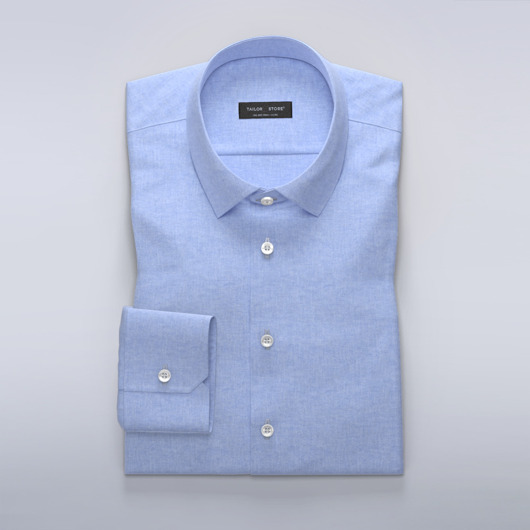 Looking for a Light blue shirt that pairs perfectly with a wide range of garments? This is the made to measure shirt for you. Try matching this shirt with light khaki chinos for an elegant and versatile look.